In this episode, we hear from me, Jason Sibley, Howdoo's CMO, on the launch plan. Exciting times! I’m very pleased to confirm that we will be launching Howdoo on the 29th April. Our first priority for the team will be onboarding our launch supporters and assisting them in setting up their channels, and to invite all those that pre-registered usernames into the app. All of those with pre-registered user names will get an email invite to log into Howdoo to get started. From this date, we will then submit the updated apps to the app stores, and once we have completed the testing of content (especially live streaming), we will be enabling passive income, tipping and payments (we expect to be in place during May). We will then start the public sign-up and promotion once we’ve completed the testing, and enabled the wallet and payments. 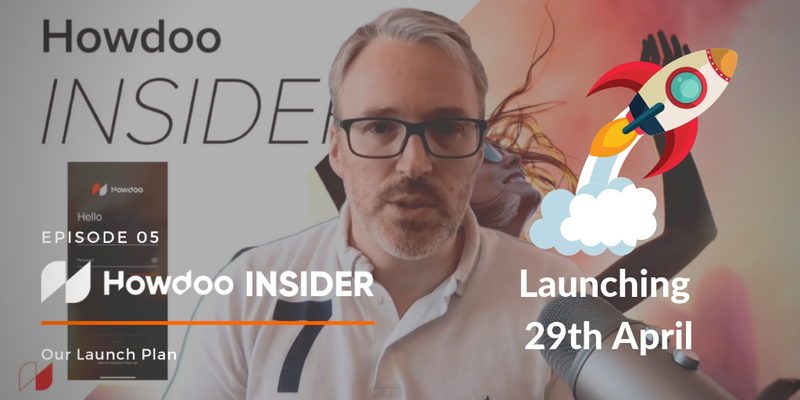 I look forward to chatting to you all in Howdoo, and especially moving the Howdoo Insider to a weekly live stream. Howdoo is a blockchain-powered social media platform that puts you in control. It’s a single application that combines all the best features of existing social media apps, but with a radical new approach to content creation & monetization. * Users own their own data and decide what and how to share. * Users can receive attention based income for allowing passive advertising. * Feature rich platform for users and content creators, with PiP video streaming and more. * Content creators have access to unique and fair monetization models, including tipping with the uDOO which the content creator retains 100%. * Built with blockchain for speed and security. Howdoo is currently in Beta, and will go live 29th April and currently has over 60,000 pre-registrations. You can buy uDoo’s on Idex or Exmarkets. CMO of Howdoo, a Social Media Platform built in the blockchain, giving power to users, and unique monetisation options to content creators.